The Indian rupee Tuesday ended flat at 71.11 against the US dollar, with focus shifting to the Fed policy meet and US China trade talks. The forex market sentiment got revived towards the fag-end trade offseting early losses amid increased selling of the greenback by exporters. At the Interbank Foreign Exchange, the rupee opened on a weak note at 71.19 then fell further to 71.22 against the US dollar. The local unit, however, erased the initial gains and settled for the day at Rs 71.11, up by just 1 paisa over its previous close. 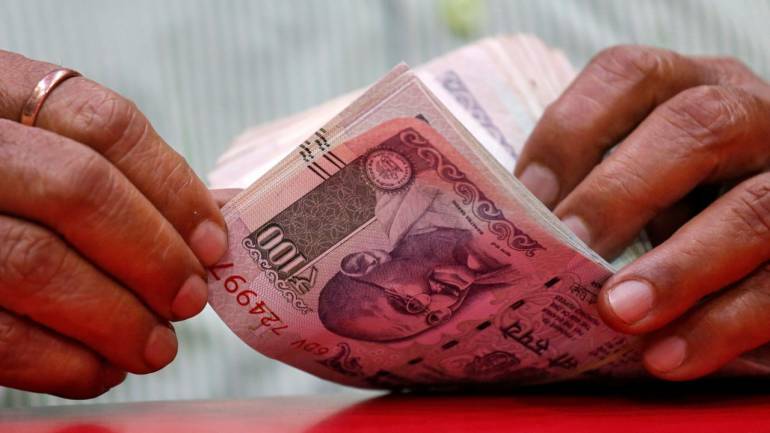 On Monday, the rupee had settled 7 paise higher at 71.10 against the US dollar. “Indian rupee consolidates in a narrow range ahead of the Federal Reserve Monetary policy and US China trade talks outcome. FOMC likely to hold rate unchanged at 2.50 per cent,” HDFC Securities Head PCG & Capital Market Strategy V K Sharma said. Sharma further said the government will table the interim Budget Friday and rupee is likely to react negatively in the short term, if government gives the populist budget. Meanwhile, the dollar index, which gauges the greenback’s strength against a basket of six currencies, was trading largely unchanged at 95.74. Foreign funds sold shares worth Rs 354.36 crore from the capital markets on a net basis, while the domestic institutional investors bought shares worth Rs 81.27 crore Tuesday, provisional data showed.The benchmark BSE Sensex Tuesday ended 64.20 points lower at 35,592, while the NSE Nifty also edged lower by over 9 points to close at 10,652 on mixed cues from global markets amid fresh concerns over ongoing US-China trade tiff.